I have been in Melbourne for two weeks, after moving from Sydney, and have found it easy to continue my normal sketching patterns. 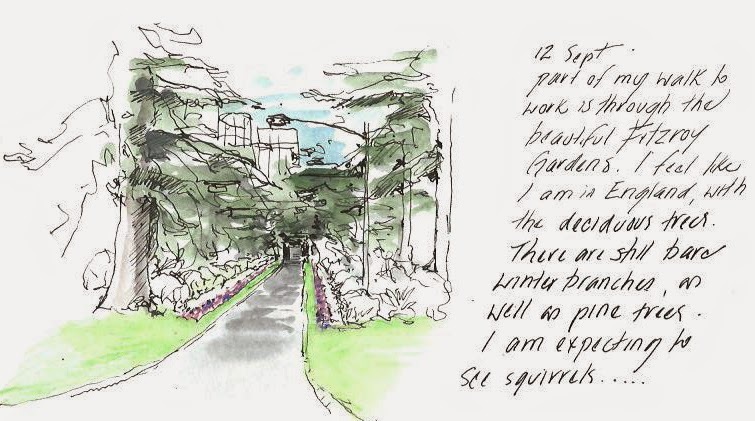 I carry my Moleskine Watercolour sketchbook and watercolour pencils with me everywhere. I have the opportunity to quickly capture my new daily life. 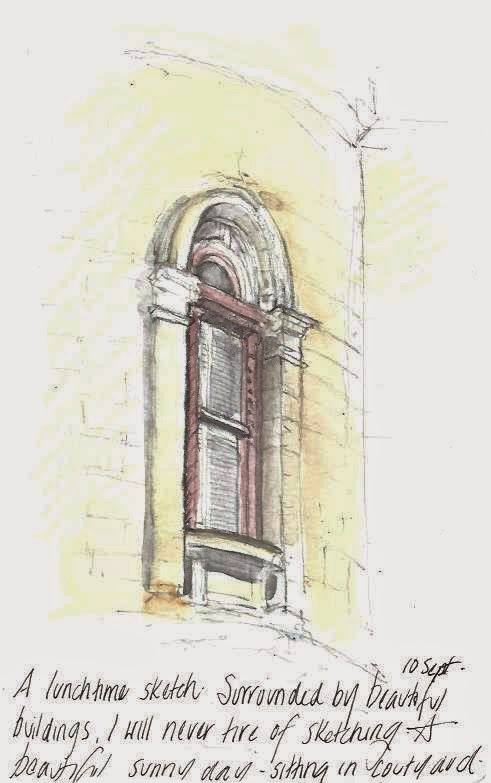 I am also using my lunchtime to sketch the buildings around me. I have been very fortunate with the weather. 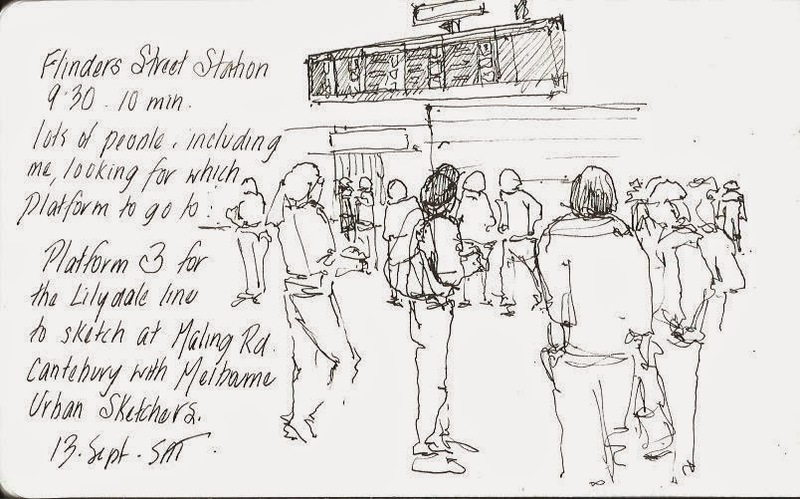 I have sketched with Urban Sketchers Melbourne twice. 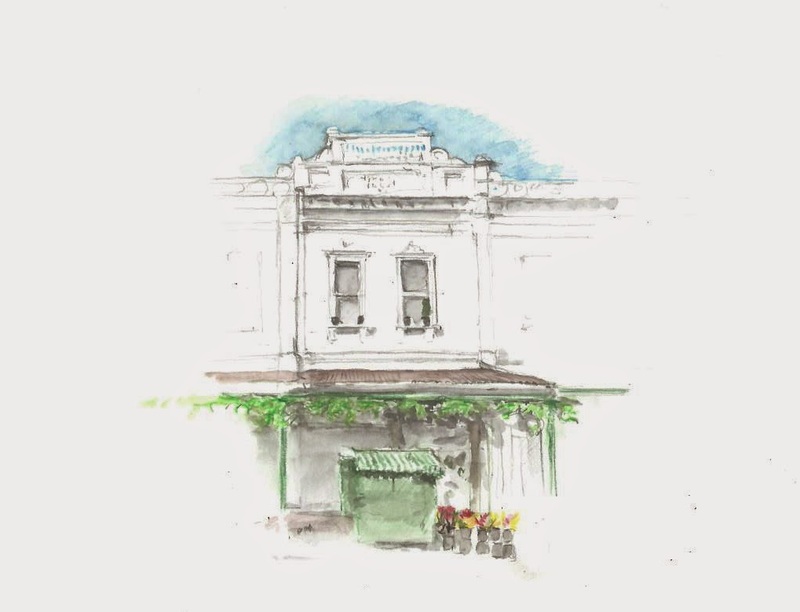 At the moment they are focusing on sketching in the inner city Council District of Booroondara, which includes a number of suburbs including Hawthorn, Kew, Canterbury. 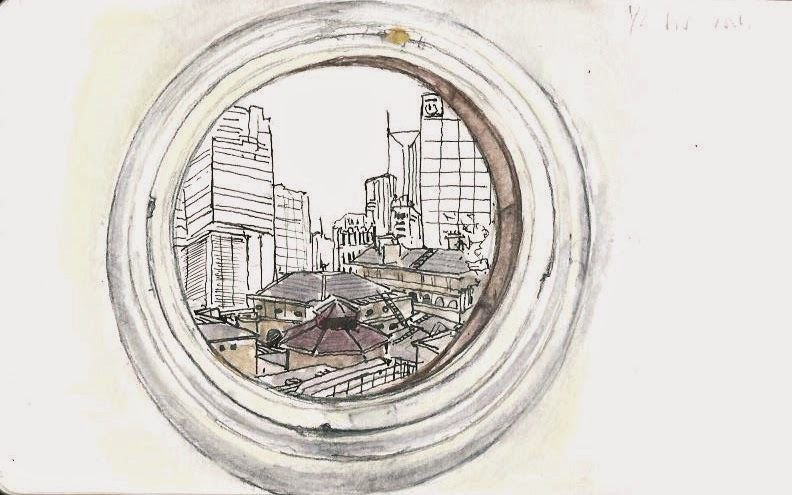 It is in preparation for a urban Sketches exhibition at Town Hall Gallery Hawthorn in November. 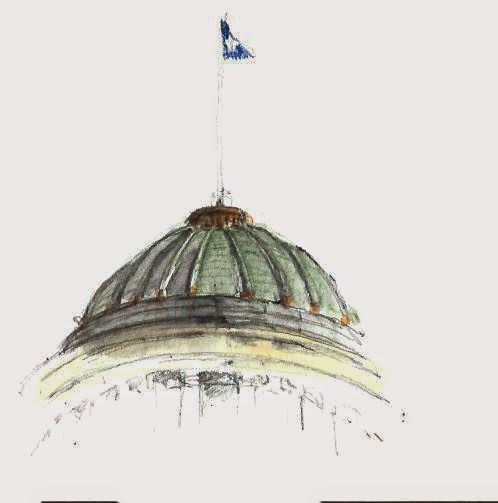 If you are visiting Melbourne, drop by and visit it. 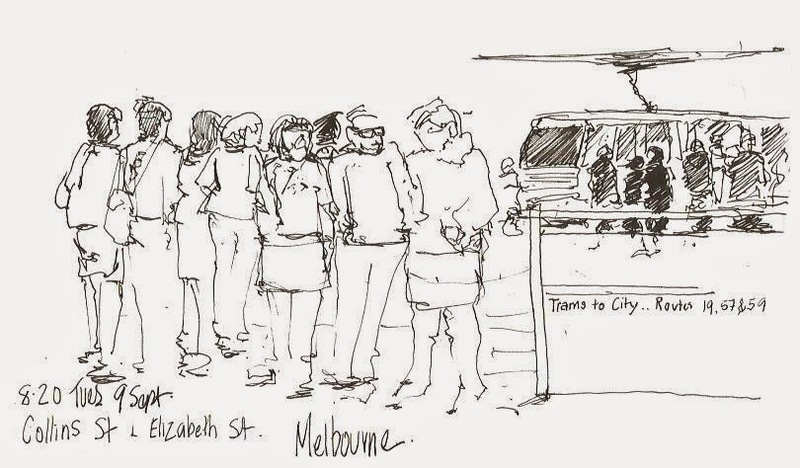 So I am getting to explore parts of Melbourne as well as meet new urban sketchers. 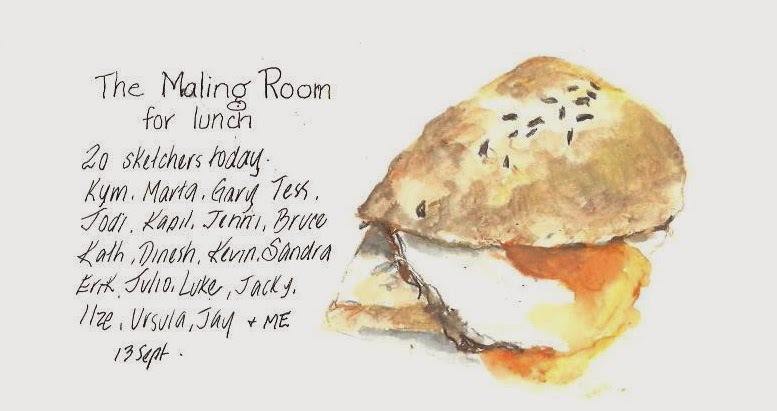 I already knew Evelyn, Kym, Angela and Jodi from previous visits and am happy to be able to sketch and chat with them on a regular basis now. 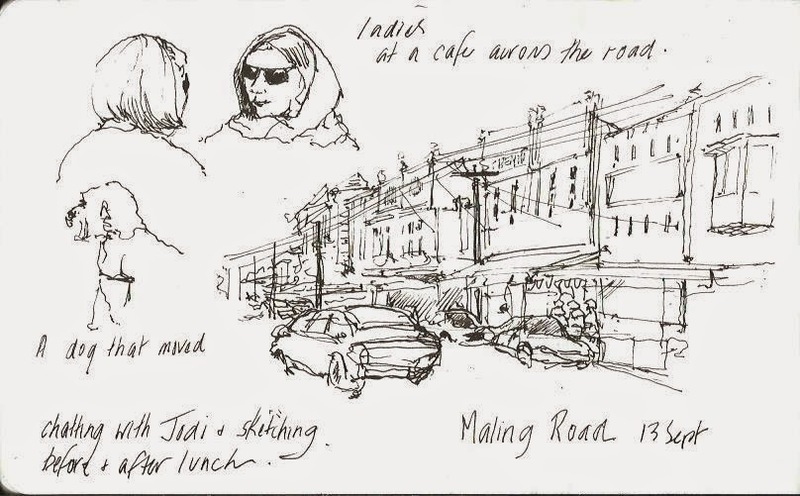 This Saturday's visit was to Maling Road, Canterbury. A charming shopping village with beautiful shops, cafes and the weather was perfect too.